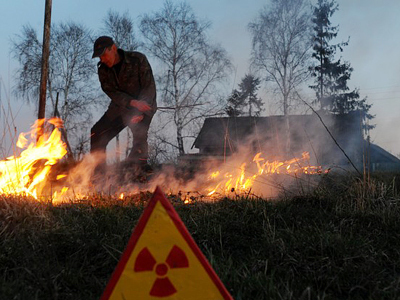 Twenty-five years on, the dangers of Chernobyl have in no way been confined to the past. On the eve of the tragic anniversary, Ukraine is desperately seeking money to complete a new containment shelter over the remains of the destroyed reactor. ­International donors have pledged more than half-a-billion euros, but that is still short of what is needed to make the site of the worst nuclear accident in history secure for a century. Japan’s ongoing struggle to contain the Fukushima disaster is fuelling a growing anxiety over nuclear energy safety. The last time the world was this scared was in the shadow of the Chernobyl reactor explosion in 1986. “This latest accident demonstrates that despite the great progress made in the last 25 years, more needs to be done to ensure that the 'safety first' approach becomes fully entrenched among nuclear power plant operators, governments and regulators," IAEA Director General Yukiya Amano said at an international conference in Kiev. 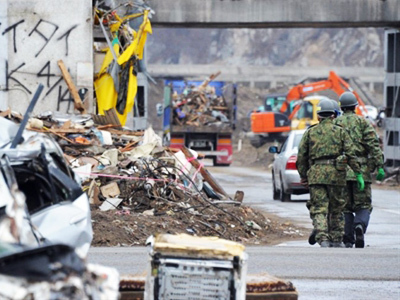 Japan hopes to seal the site within nine months. But back in the days of Chernobyl, a quicker solution was needed. Shutting the gaping hole of the exploded reactor was the immediate solution for a deadly mistake. Scientists were quick to react to the unfolding catastrophe and managed to build a steel and concrete structure over the devastated power station, protecting Europe from the further spread of radiation. The sarcophagus was built in 1986, just months after the disaster. Back then, experts said it would last for 20 years – until 2006. Now, given numerous cracks in its walls, there are fears that the structure could soon collapse. Experts say should this happen it may cause serious danger and a major threat. If the sarcophagus did collapse, the whole of the European continent could be contaminated by the radioactive fuel which is still thought to lie under the sarcophagus. A new arch is being built by French company Navarco. Work has been in progress for months, but it only recently became clear that this billion-dollar project lacks financing. A week before the disaster’s 25th anniversary, Kiev managed to attract an additional half-a-billion euros in aid from the international community at a donor conference. “We have now been granted a real chance to complete the new shelter by the year 2015,” Ukraine’s President Viktor Yanukovich has said. Experts are confident it could even happen quicker, in just two years. And that the new protective layer will last for generations. “The lifetime of the new confinement would be 100 years. This is enough time to develop new technology for storing radioactive materials and disposing of radioactive waste,” says Yulia Marusich, a Chernobyl NPP worker. 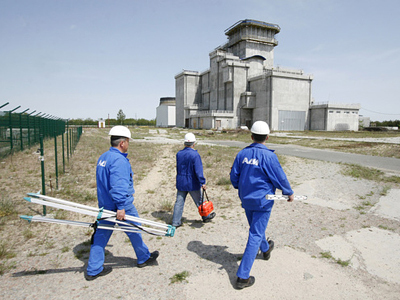 Whether that means that Chernobyl could one day be dismantled under the new dome is unclear. But as Japan’s nuclear crisis keeps the planet on alert, there is now a new focus on ensuring Chernobyl’s dark past can be kept where at bay. Read an eyewitness account about what happens near the ruins of the Chernobyl power plant in Aleksey Yaroshevsky’s blog. He visited the site recently to film a documentary about the catastrophe and its consequences. Twenty-five years since the catastrophe, the 30km radius exclusion zone around the Chernobyl plant is still unsuitable for living. The radiation levels vary across the area. In the so-called “Red Forest” – the area burnt by the radiation wave after the explosion – the radiation level probes show 3,500 micro-roentgens per hour. 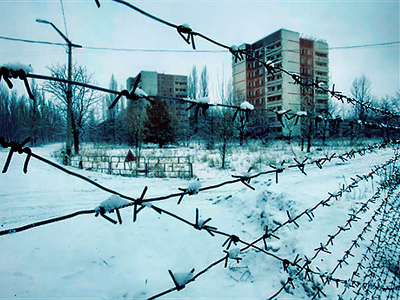 Levels of 2,500 micro-roentgens per hour can be measured over the rooftop of the tallest building in the town of Pripyat. These levels are so high that it is not advisable for people to be there for more than 10-15 minutes, otherwise they might exhibit the first stages of radiation sickness. 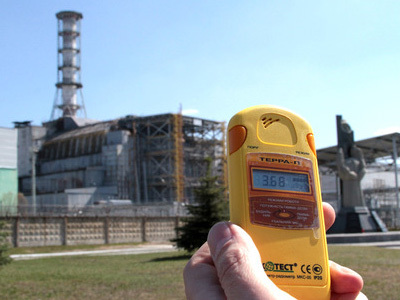 At the same time, there are areas with radiation levels even lower than in Kiev or Moscow. 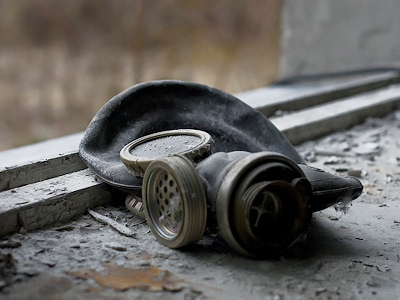 ­Memorial services for the victims of the Chernobyl disaster are being held across the country. One is underway in Kiev, held by Patriarch Kirill of Moscow. 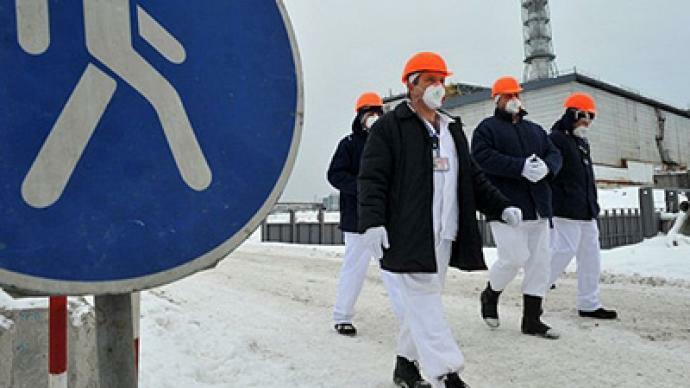 ­Russia’s President Dmitry Medvedev awarded 16 Russians who worked at the Chernobyl power plant after it was hit by the explosion, mitigating the consequences of the blast. The ceremony took place in Kremlin Palace on April 25. In his speech at the ceremony, Medvedev stressed that the state should never cease providing social and healthcare support to the people who eliminated the Chernobyl radiation threat. Moreover, he underlined that widows whose husbands had died in the result of those attempts should not be deprived of state’s support, Interfax news agency reports. President Medvedev also criticized the Soviet government for providing too little information to the community, when the Chernobyl disaster occurred. "The state did not have enough courage to acknowledge the event,” he said. “It looked very strange in the media coverage: the newspaper Pravda had a tiny article in the small print on the last page. It took a while to learn what exactly had happened,” Medvedev said as cited by Itar-Tass news agency. Russian President Dmitry Medvedev will be attending to commemoration services in Chernobyl on April 26. The patriarch of the Russian Orthodox Church, Kirill, will hold service there in the night which will mark the explosion.